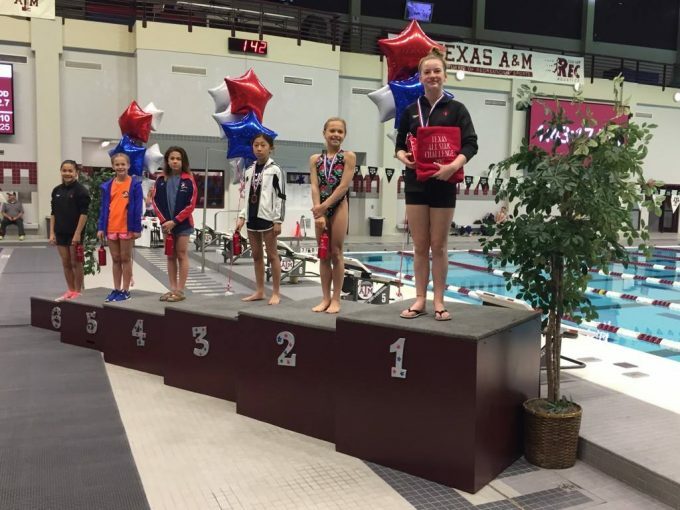 ONDC’s own Kathryn Grant brings home Gold and Silver from Annual Texas All-Star Invitational. ONDC’s own Kathryn Grant has just returned from her first international competition of the season. 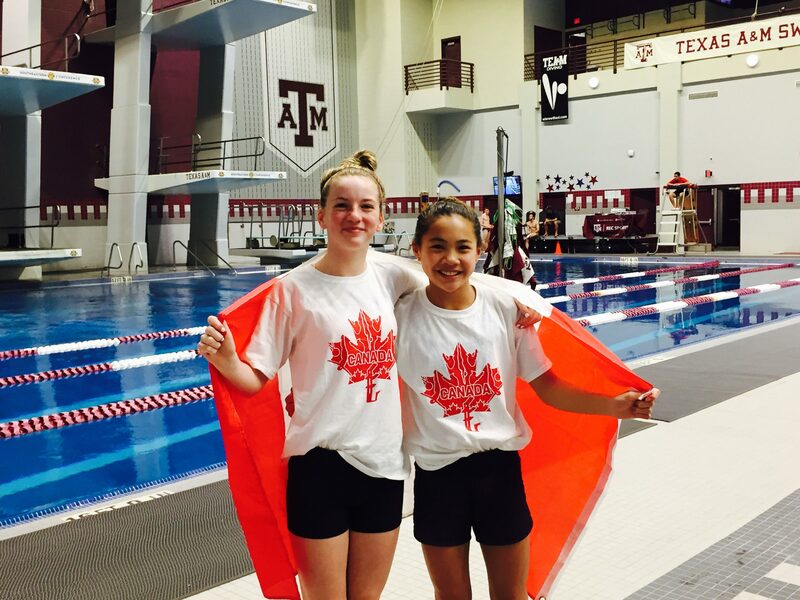 Diving Canada took a team of 7 athletes and two coaches to College Station, Texas for their annual Texas All-Star Invitational. 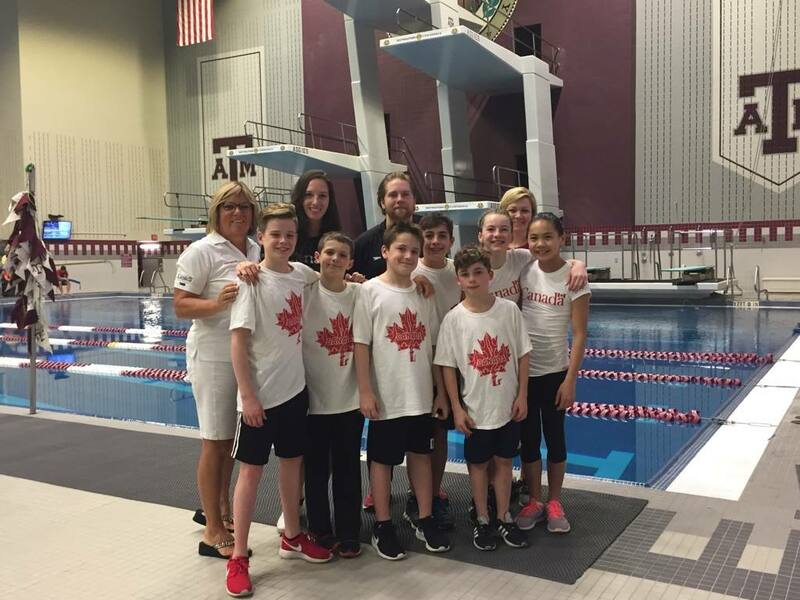 Our team showed amazing performances and perfectly demonstrated why they are the best and brightest of Canadian diving’s future. Team Canada is returning home with 11 medals between all athletes. Of these 11 medals, Kathryn Grant is proudly bringing a GOLD MEDAL on 1m and a SILVER MEDAL on tower. These medals were hard-earned as this competition was no ordinary competition. 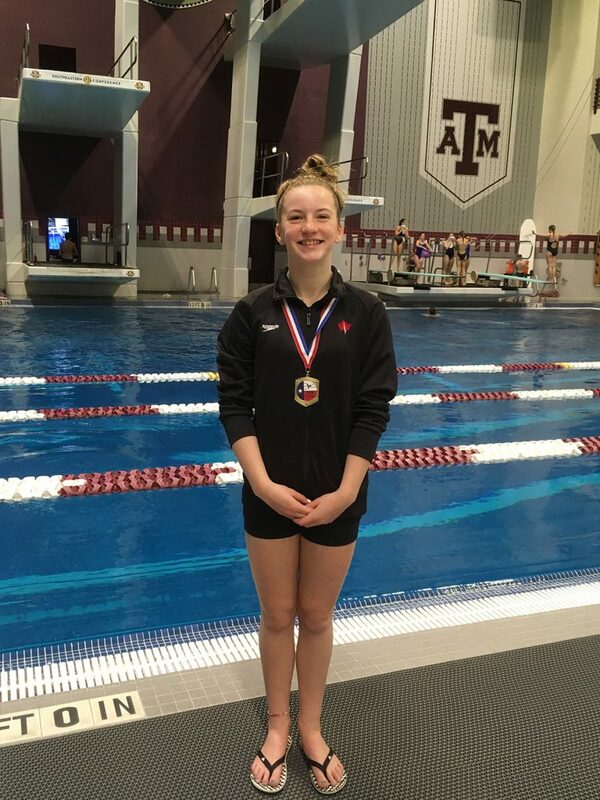 In Texas, divers must compete in the preliminary rounds first, the top 6 must perform again in semi-finals, then once again in the final 4 and finally the top 2 divers have a final showdown head to head for the Gold medal. Kathryn’s final event of the competition was on the platform. Alongside her Canadian teammate Katelyn, these two demonstrated outstanding performances only improving their scores as the competitions continued. They shattered the competition in the preliminaries topping all other competitors by 50 points and then remained only points apart for the remaining 3 competitions on platform leading to a gold and silver finish for the Canadian girls! Best friends always bring out the best inside each other and in this case, push one another to bring out ones best performances. For Kathryn to finish her weekend diving side-by-side her teammate for the gold medal is a special moment they will remember for a long time!